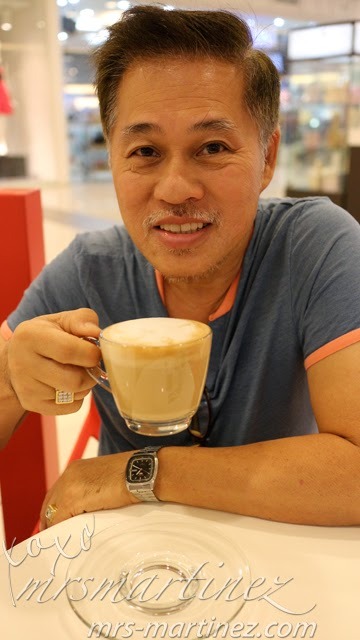 As you know, it is my mom who is a coffee addict haha I am just her mini me. 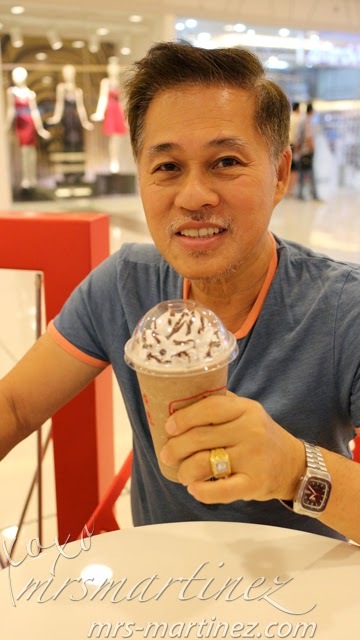 Just when I thought we ran out of coffee places to try in and around Robinsons Magnolia, I remembered Beantology The Original Liquified Dessert which opened just last November 2013. I often passed by Beantology whenever my daughter and I go to Toys"R"Us but it was only yesterday that I get the chance to check it out. Anyway, the staff was friendly. She answered all my questions and she seems knowledgeable with regards to the content of the menu. Dad and I shared a cup of Peppermint Creme. This is part of liquified dessert concept called Frozerts. I really like it because it's not too sweet and you can really taste peppermint in it. Other flavors on the Original section are Chunky PB, Milk & Oreos, Java Chip, Rocky Road, Dark Chocolate and Heavenly White Chocolate. Priced at PhP 150 each. Under Iconic (PhP 165 each), there's Nutella, Sneaky Snickers and Matcha Green Tea Mousse. The last one is on my list to try out next! There are Limited Edition Frozerts (PhP 150) like Werther's Butterscotch, Cotton Candy Supreme and Salty Caramel which I would like to try on my next visit. For the traditional coffee drinkers out there like my mom, there's the usual Americano PhP 90, Cappuccino PhP 110 and Espresso PhP 95. 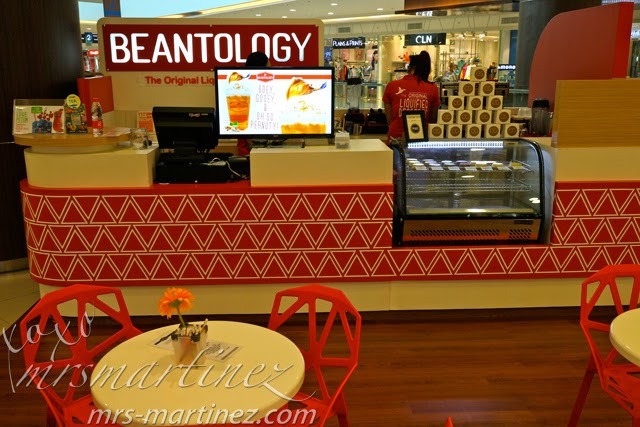 Beantology's coffee is actually good and not mapait unlike the others that I have tasted. The barista offered to changed our order from Cappuccino to Latte (same price) when I requested a better art on my mom's coffee. 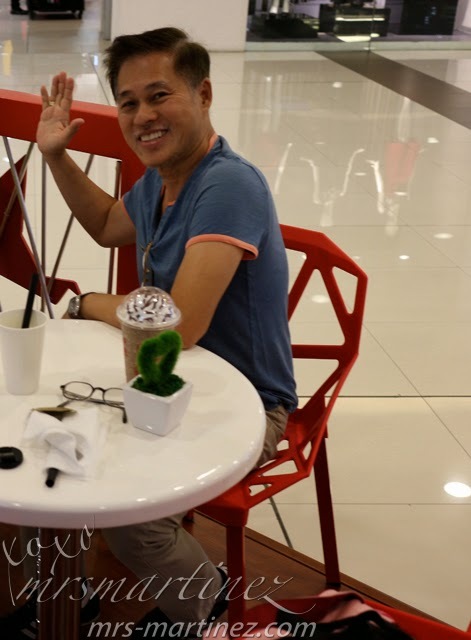 dad says Hi to all! 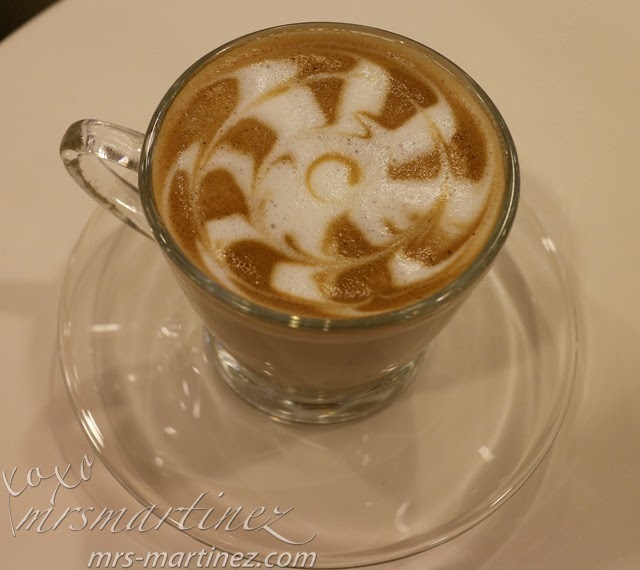 It looks like we found another tambayan next to Krispy Kreme and UCC for my mom's coffee fix! Senior Citizen discount apply. No service charge.